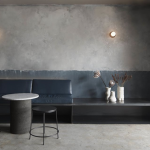 There’s no doubt about it, the Three Blue Ducks decision to fly north and open a sister restaurant in Byron Bay was a good one. Famous for their award-winning restaurant of the same name in the Sydney seaside suburb of Bronte and now in Rosebery, ‘The Ducks’ have managed to masterfully repeat their formula for success in Byron Bay in a very short space of time. 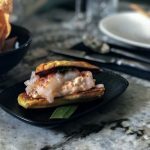 The Byron Bay restaurant had been open less than six months when it won the 2015 Australian Gourmet Traveller Award for Regional Restaurant of the Year. And with food awards comes publicity, street cred and customers. Combined with a knock out location at The Farm Byron Bay, the Three Blue Ducks newest fledgling took flight. Tables at the restaurant are busy seven days a week. On the weekend and school holidays if you’re looking for a lunchtime spot be prepared to join a wait list. 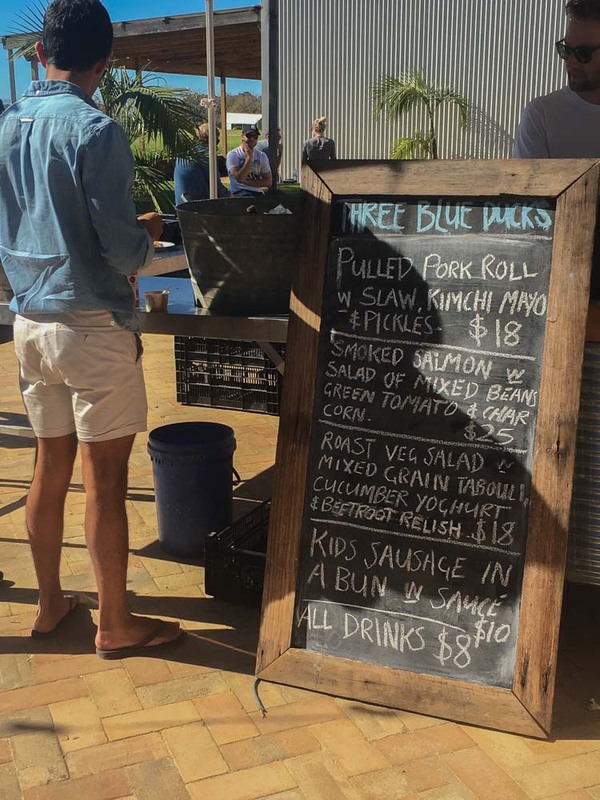 So is the Three Blue Ducks Byron Bay really worth all the hype and a queue for lunch? The answer – I guess it is! 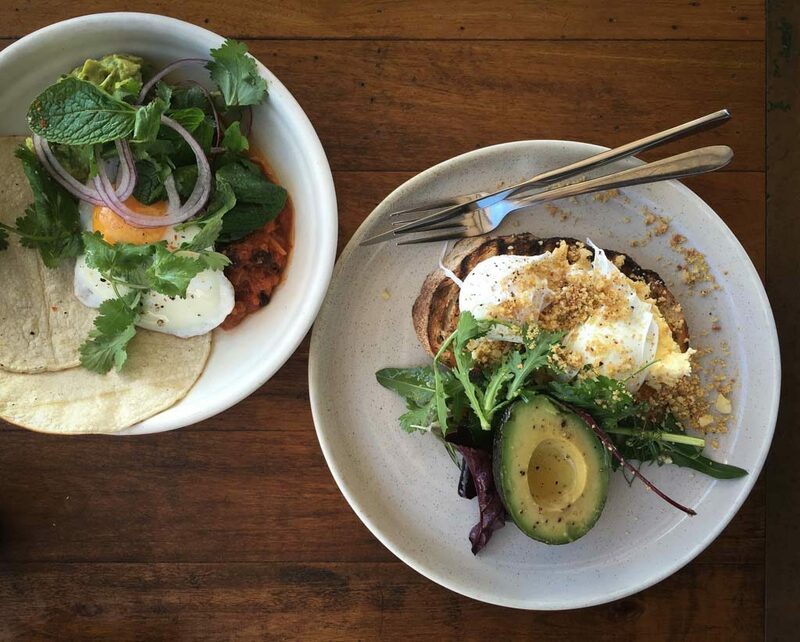 For food, service, setting and atmosphere the Three Blue Ducks Byron Bay ticks all the boxes. The food is farm fresh and the menu is wholesome and creative. I have almost always received perfect service (all is forgiven – bad hair days are absolutely allowed). The setting is beautifully bucolic. The sunset views from the restaurant are ridiculous. I think it’s impossible to take a bad photo from anywhere. 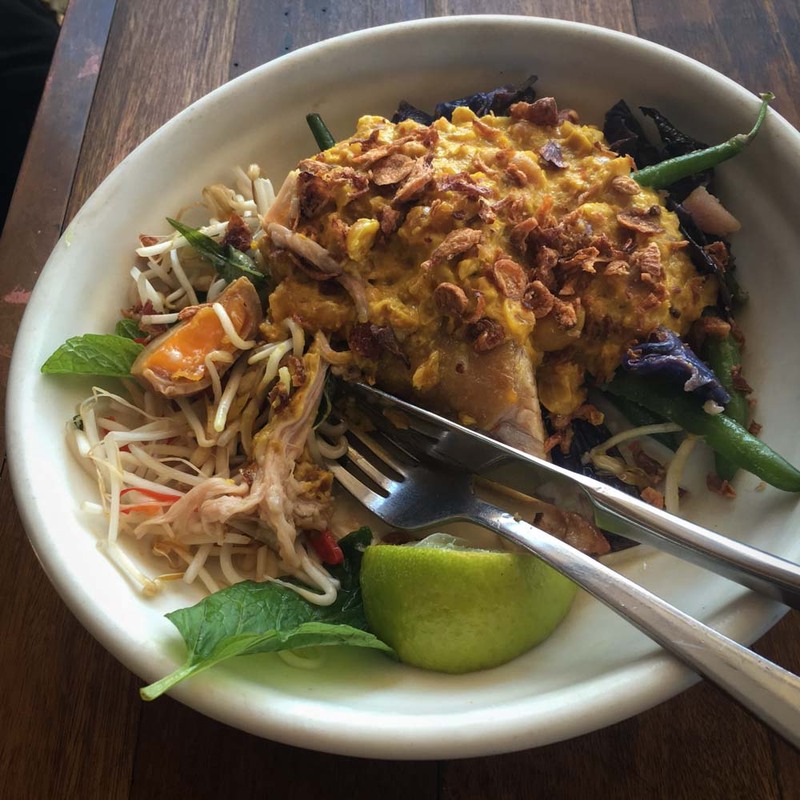 On top of that, the restaurant’s atmosphere is lively and happy with a relaxed Byron Bay vibe. 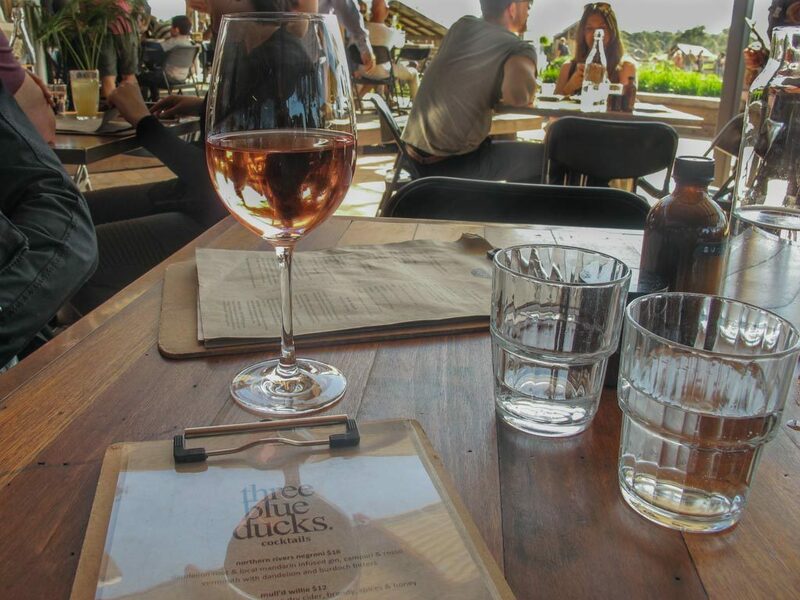 Can there be nothing wrong with the Three Blue Ducks Byron Bay? Almost. Some locals tell me that they feel the menu prices are a bit high for them while some other locals just want to avoid the teeming tourist trade. I guess you can’t please everyone. Having said that – there is a whole lot to like about the Three Blue Ducks and if you time your visit well you can definitely avoid the madding crowds. 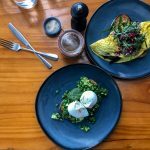 From quiet breakfasts on the verandah, to busy weekend lunches and aperitivos watching the sun disappear – every one of my visits to the Three Blue Ducks Byron Bay has been enjoyable. I have to confess that I have yet to try ‘The Ducks’ for dinner. Why? 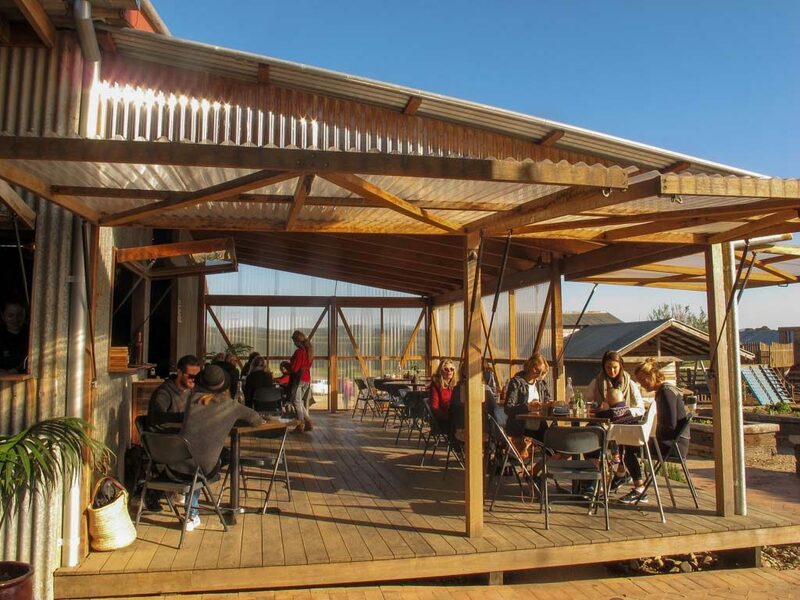 The restaurant is largely outdoors with some tables inside a large farm style shed. Both get pretty cold in the cooler months and it can get a bit dark. However, the lack of heating has been rectified this year, so now I have no excuse. In fact I’m off there this Sunday night for their new $40 Roast Menu, which includes a starter, main, arrival drink and live music, so stay tuned! Back to breakfast. Sitting on the Three Blue Ducks Byron Bay restaurant verandah or in the courtyard overlooking the green meadows is an ideal way to start your day. My tip is to go to breakfast during the week (except for school holidays) when the restaurant is quieter. The breakfast menu is short and simple with light options such as the Croissant with mixed-berry Jam and whipped butter from The Bread Social bakery next door or the Toasted Muesli served with organic yoghurt, poached pear, blueberries and rhubarb compote. For something more substantial there is a Farm Pork and Fennel Breakfast Burger with bacon, a fried egg, onion jam and cheese or the delicious Avocado, stracchino and poached eggs with macadamia crumb and chilli sourdough. The slightly tart, fresh cheese and the crumb’s texture pimp up this humble dish. Did I mention that the eggs are incredible and come straight from The Farm’s layers? Keep an eye out for any breakfast specials too. Mr GFAF recently enjoyed a Pork and Bean Mexican Tortilla breakfast served with a fried egg and guacamole that was definitely worth recommending. To drink there is espresso and filtered coffees, chai, smoothies, cold pressed juices and kombucha as well as an extensive tea list. For lunch I reiterate that it gets unbelievably busy on the weekends and during school holidays. There are no reservations for breakfast and lunch (Dinner bookings are accepted). Lunch orders commence at 12.15pm so my tip is to get there around 11.45am and put your name on the waiting list for a table. But if you’re not that organised or you don’t mind waiting just leave your name when you arrive and take some time to meander around The Farm. Depending on my lunchtime appetite I am a big fan of the Kangaroo tartare and olive crisp with eschallots, capers cornichons and chives, which is more of an entrée sized dish, but if you simply want a light bite it’s great enjoyed with a glass of Rosé. Some other lunch offerrings include the Ploughman’s Board, Slow Cooked Beef Brisket and locally caught Fish. The Pork Gado Gado with Potato, Green beans, charred cabbage, chilli, lime bean shoot salad egg and peanut sauce is a colourful and textural dish. It’s a winner. The satay is creamy and not overpowering while the pork falls about with one touch of your fork and the fresh salad ingredients balance the rich elements. 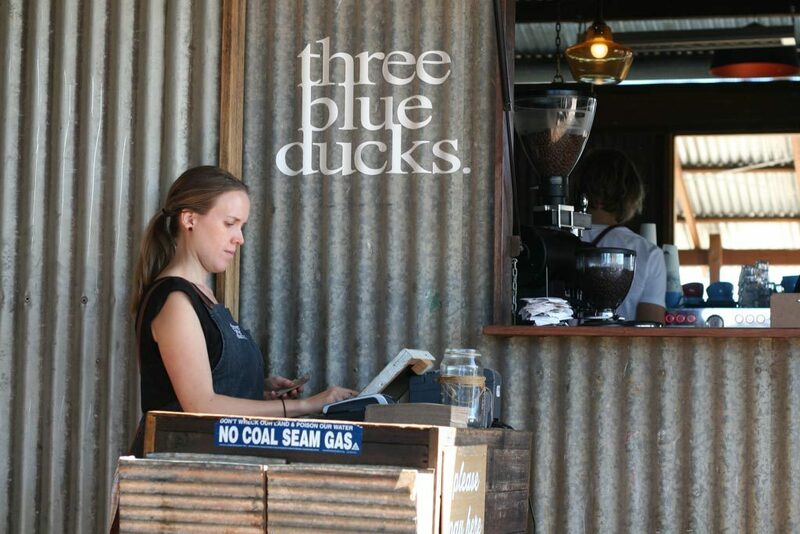 The Three Blue Ducks Byron Bay aims to use local, fresh and seasonal produce in their menus. In fact, many of the ingredients used in the restaurant come direct from The Farm. On the weekends the restaurant puts on a barbeque that you can eat on a BYO picnic rug on the nearby lawn. The takeaway style menu includes options such as Pulled Pork Rolls and Sausages in a Bun as well as lighter Salads and Vegetarian options. Alternatively you can let The Ducks prepare a Picnic Hamper for you featuring local produce such as Nimbin Valley Cheese, Salumi Australia cured meat, a baguette from The Bread Social, Naked Byron Dips and seasonal local fresh fruit among other things. 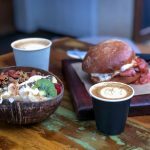 Kids or ‘Ducklings’ are catered for too at the Three Blue Ducks with options such as Eggs and Soldiers with a fresh juice or babycino for breakfast or Crumbed fish with tartare sauce, roast vegies and salad with a chocolate milkshake for lunch. The Three Blue Ducks Byron Bay is fully licensed. The wine list is all-Australian except for the Champagnes and all wine except for one of the champagnes is available by the glass. I regularly order the Toppers Mountain sparkling from New England while the Gilbert Rosé from the King Valley is also great for lunch. There is a cocktail list as well as ciders and craft beers on tap. My verdict? 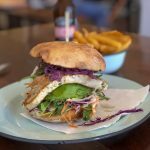 As a local, the Three Blue Ducks Byron Bay is a great place for a weekday breakfast or lunch when things are a bit quieter. If you do go during the busier times, like the weekend or during school holidays, don’t be put off by the queue waiting to be seated. Just leave your name and take a stroll around The Farm. The food is worth the wait and while you’re roaming around the meadows and plots you might even recognise where your next meal is coming from. It doesn’t get much more farm to fork than that! 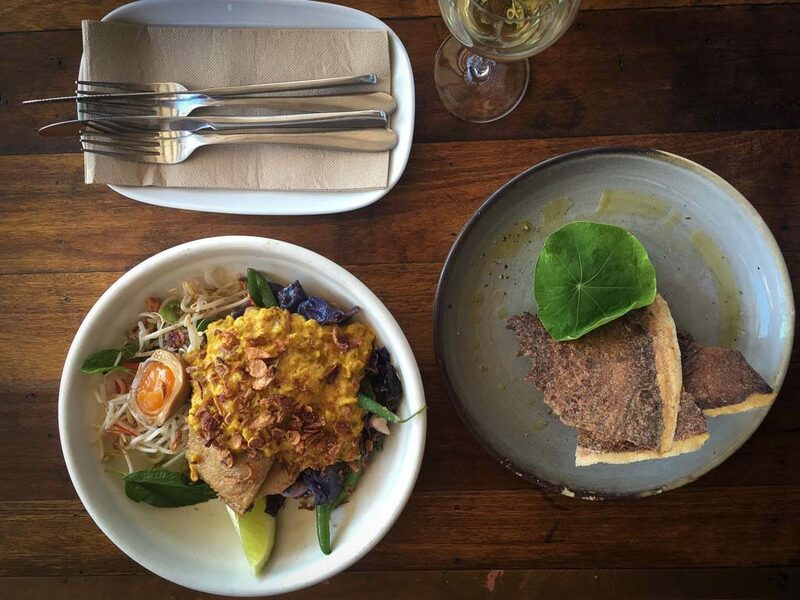 Had my first experience at Three Blue Ducks, Bronte last weekend…. Deeeelish!! Yay for you Justin! Time for a Byron road trip?